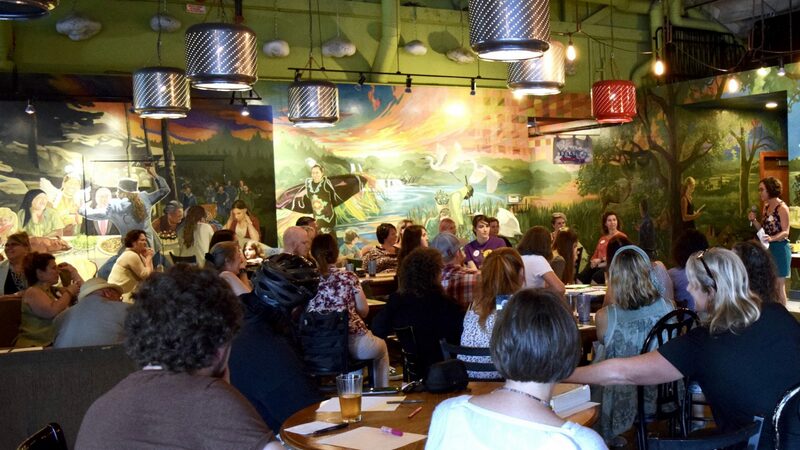 Redefining Women in Tech has been bringing events and community support to the greater Eugene area for over two years. We’ve built a community that includes over 500 people, and estimate that we will welcome over 150 newcomers this year. In a community the size of Eugene, this strong support indicates a need for continued and increased programming that empowers women to thrive in tech careers. This year, we’re focusing our efforts on career activation and workforce development initiatives. We’re bringing back our most popular and effective event, Not Your Average Tech Jobs, where we raise awareness about tech-enabled careers with diverse training paths. We are also debuting a counterpart event, Ultra Tech Jobs, where we showcase highly specialized tech careers in areas like network security, system architecture, and GIS mapping. Additionally, we are bringing two workshops that offer crucial training for the workplace. We know our four core events in 2019 will reach more people and accomplish more than ever before. We are confident that our community efforts will go even farther this year with sponsors like you. Please consider supporting our community by selecting one of our tiered sponsorship packages, which are detailed in our 2019 sponsorship guide. Any funds raised in excess of this year’s event costs will go toward developing additional programs and resources for local women in technology.